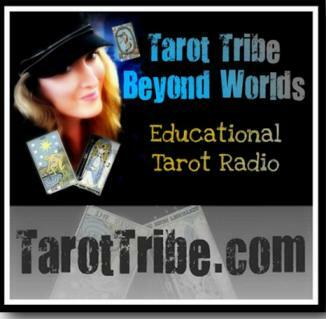 On August 3, 2010, Chanel Bayless (creator of A King's Journey Tarot) joined us on Beyond Worlds: Your Tarot Tribe. Below is the hand-out for that show. These gorgeous graphics were made possible by Beyond Worlds' official Graphics Diva, Catherine Chapman, of www.TarotElements.com. Question: I want to know about the future of my business. The outer Rim is how you are influenced by things outside of yourself. Whether it's other people, energies, environment, or whatever else. 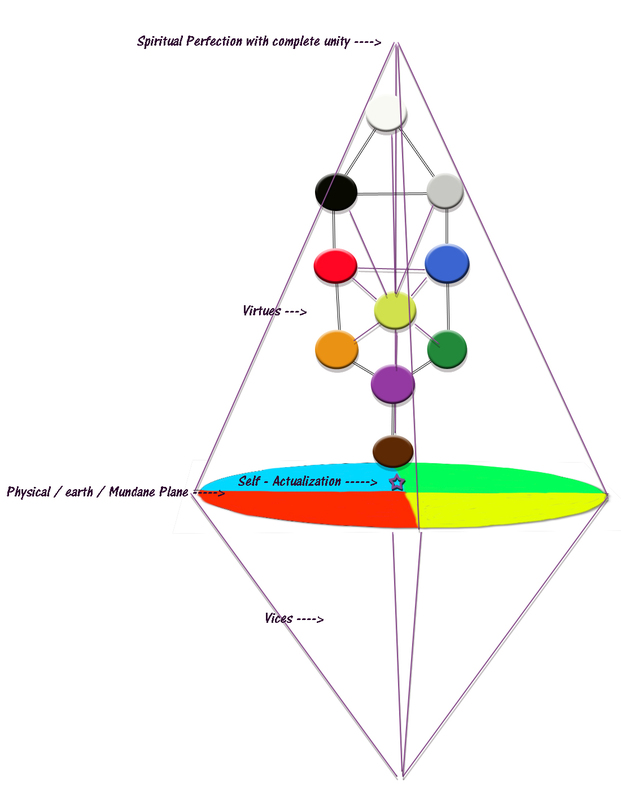 These outside influences can be seen as obstacles or helpers in the element energy. Position 1 - Outer Rim Earth - What influences you on the mundane level (money, physical needs, health, possessions, etc) ? Position 2 - Outer Rim Fire - What influences your motivation, passions, or desires? Position 3 - Outer Rim Water - What are the outside influences in regards to relationships, dreams, or emotions? Position 4 - Outer Rim Air - What influences your communications, business, decisions? The inner Rim are things that are within you that are influencing your decisions and choices. 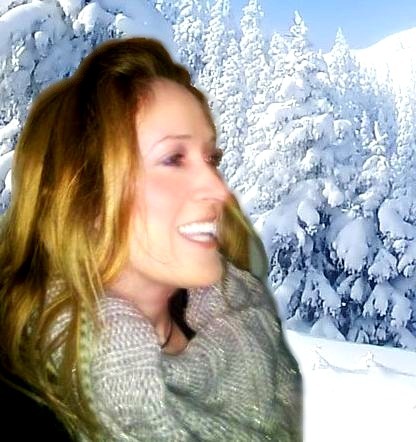 These may be things you need to overcome, your intentions, thoughts, motivating factors, etc. Again, these could be helpers or obstacles. You can also see what energy you may need to combine with the outer rim in order to move forward towards your goals. 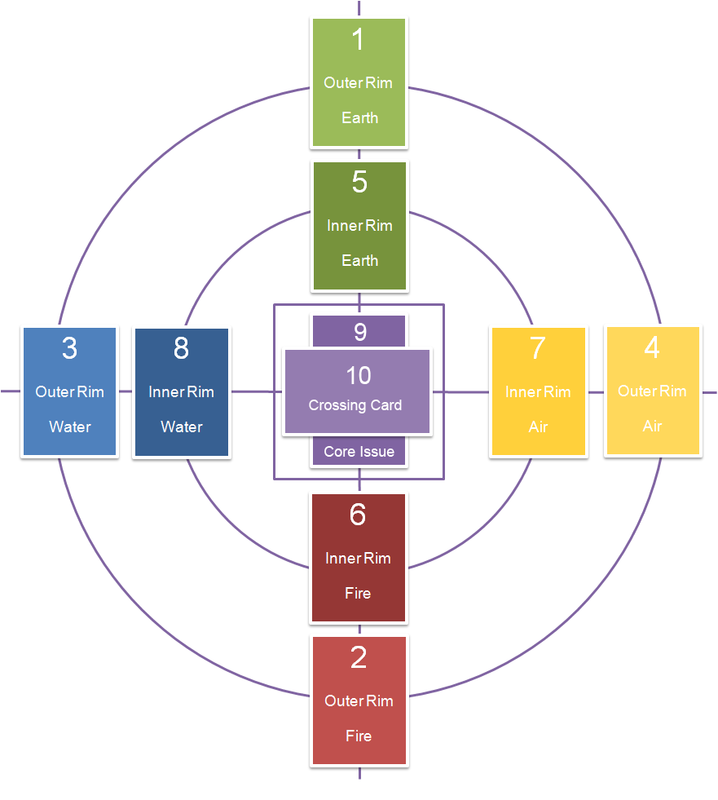 Position 5 - Inner Rim Earth - What are your thoughts, beliefs about the topic? What do you need to do on the physical plane to meet your goals? Position 6 - Inner Rim Fire - What is the energy that is motivating you? What are your talents and strengths? Your truest desires? Position 7 - Inner Rim Water - In what way do your emotions affect you? How does it affect your relationship with the question at hand? Position 8 - Inner Rim Air - Your thoughts on the matter. What you want to communicate. 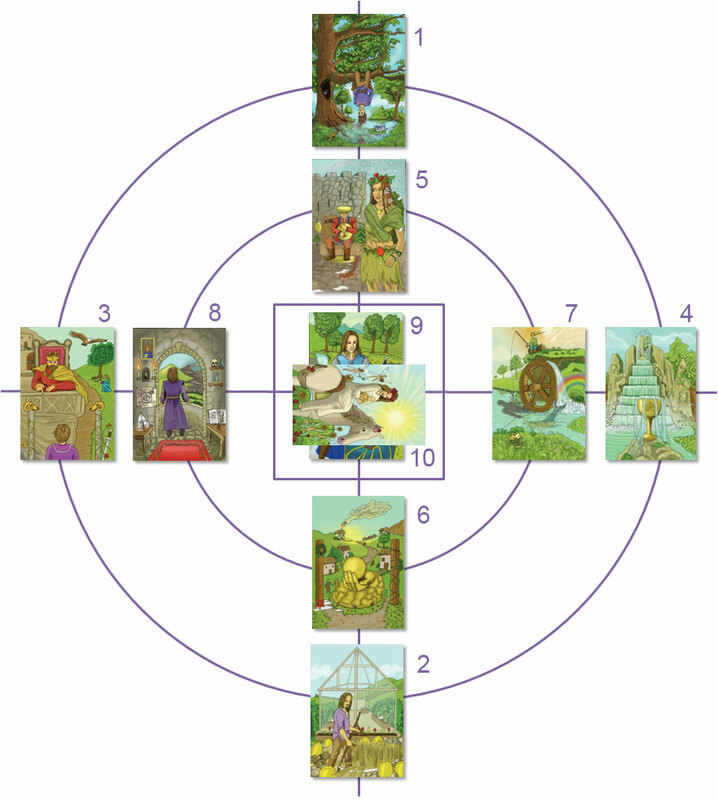 The last positions are in the 'soul' or 'core' of the issue. These may also represent core beliefs you have around the issue at hand. Position 9 - Core Issue - What is the issue at hand. Position 10 - Soul Challenge - This is the challenge you are facing on the soul level. This is the lesson you are encountering.